Shire is known as one of the world’s fastest growing specialty pharmaceutical companies. Today, it has value around US $5billion and is the third largest pharma company in the UK. It is the market leader in attention deficit and hyperactivity disorder (ADHD) in the United States, as well as having a growing European network and an exciting set of products being developed for launch and marketing in the future. But only 27 years ago was it a tiny business above a shop. How did it become so successful? In the beginning, Shire was a tiny company called AimCane, founded and funded in 1986 in the UK by four entrepreneurs. These four entrepreneurs were Dennis Stephens, Harry Stratford, Peter Moriarty, and Geoff Hall. Each one had considerable experience either in or directly serving the pharmaceutical industry. AimCane was situated in a shop in Hampshire and when the company came to change its name, it chose Shire, after the name of the building that housed the company in those early days. Initially, AimCane launched and sold a range of calcium products designed to help with the bone disease, osteoporosis. One of these products, called Calcichew, is still being successfully marketed today. Then, under its new name Shire, the company expanded its specialism to include hormone replacement therapy (HRT) and Alzheimer’s disease. It began trading fully in 1987. In 1995, Shire made its first acquisition of another Hampshire-based business called Imperial Pharmaceutical Services. This acquisition brought to Shire a range of product licenses as well as capital that enabled the company to embark on expansion and a series of further acquisitions. The same year, Shire entered into a global co-development agreement with Johnson and Johnson Pharmaceutical Research and Development to develop Reminyl (galantamine) for the treatment of Alzheimer’s disease in Japan. Today, this product has made millions for Shire. The company was floated on the London Stock Exchange in February 1996. This was a significant moment in Shire’s history as it reflected its ambitions to invest, to expand and to become an international force in the industry while still retaining a point of difference from the other big pharmaceutical giants. Shire then, in 1997, acquired two companies. The first was Pharmavene, a company with a broad portfolio of drug delivery and screening technologies. The second was Richwood, which ultimatelylead to the launch of ADHD treatments, Adderall (amphetamine and dextroamphetamine) and Adderall XR. Together, these two acquisitions led to the creation of US-based Shire Laboratories and facilitated Shire’s access to the US market. By 1999, Shire had effectively doubled in size, following the merger with Roberts. With this merger, Shire gained the anti-inflammatory medication, Pentasa, for ulcerative colitis, as well as ProAmatine for low blood pressure and Agrylin for low blood platelet levels. Shire then opened its marketing capabilities in Europe even further, by acquiring Fuisz EU. 2001 saw Shire merge with Canadian pharma company, BioChem Pharma. In 2003, Shire granted its strategic alliance partner, Bayer Yakuhin Ltd., an exclusive license to develop and market chronic kidney disease drug Fosrenol (Lanthanum carbonate) in Japan. This drug was launched into the Japanese market in 2009. Shire began broadening into rare diseases with the acquisition of orphan drug company, TKT, which later became Shire Human Genetic Therapies. Two years previously, TKT signed an exclusive licensing agreement with Genzyme Corporation to market Elaprase (idursulfase), which is a drug used to treat Hunter syndrome (also called MPS-II), in Asian markets and South Africa. Shire acquired New River, gaining control of Vyvanse, in 2007 – a move which also broadened its products pipeline and technology platform. As did the acquisition of German pharma company, Jerini AG, a year later, which brought Firazyr into its portfolio. The same year, 2008, Shire opened an office in Japan. In order to enter the ADHD market outside of the US, Shire acquired the worldwide rights to Equasym from UCB, excluding the US, Canada and Barbados. This was in 2009. By 2010, Shire had added to its gastrointestinal portfolio through the acquisition of Movetis NV. This gave the company constipation treatment, Resolor (prucalopride). The year 2011 saw the acquisition of Advanced BioHealing, which brought Dermagraft, a treatment for diabetic foot ulcers, into Shire’s portfolio, as well as the creation of a new strategic platform. This platform was subsequently renamed as Shire Regenerative Medicine. The same year, Shire entered into a partnership with Shionogi & Co to co-develop Vyvanse and Intuniv in Japan. Shire acquired Ferrokin BioSciences, in 2012, adding an iron chelator therapy in development for the treatment of chronic iron overload following numerous blood transfusions, to Shire’s Specialty Pharmaceuticals pipeline. The company also acquired substantially all the assets of Pervasis Therapeutics including certain vascular repair technologies. This year, Shire has already acquired three companies. The first was privately held biotech Lotus Tissue Repair, which is developing the first and only protein replacement therapy currently being investigated for the treatment of dystrophic epidermolysis bullosa (DEB). The second, was Premacure AB, allowing Shire’s HGT business to continue the ongoing development a protein replacement therapy for the treatment of retinopathy of prematurity (ROP). The third and final acquisition of 2013 has been with SARcode Bioscience, expanding Shire’s presence in Ophthalmology. Through all these acquisitions over the past two decades, Shire has had one aim: “to achieve leading market positions in each of [its] target therapeutic areas while imagining and leading the future of healthcare, enabling people with life-altering conditions to lead better lives, thus creating value for society”. 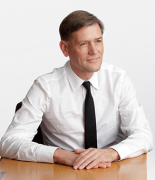 Chief executive in the crucial early 2000s period was Matthew Emmens, who steered the company through growth from 2003 until 2008, handing over to former CFO Angus Russell, and moving to the chairman of the Board role until 2014. Angus Russell left the company in 2012, just as key drug, ADHD treatment Adderall XR was facing generic competition. Succeeding him was Flemming Ornskov took on the position of chief executive, joining the company from Bayer, where he had headed up the Germany company’s general and speciality medicine marketing. Ornskov set about aggressive expansion through a string of M&A deals. Under Emmens and Ornskov’s guidance, Shire continued to focus on the following four areas: Neuroscience, Rare Diseases, Gastrointestinal and Regenerative Medicine, as well as early development projects in additional therapeutic areas. In Neuroscience.